Hilfskreuzer 1 aircraft on some of them. Only the 30 ship based float planes were under operational command of the Kriegsmarine. 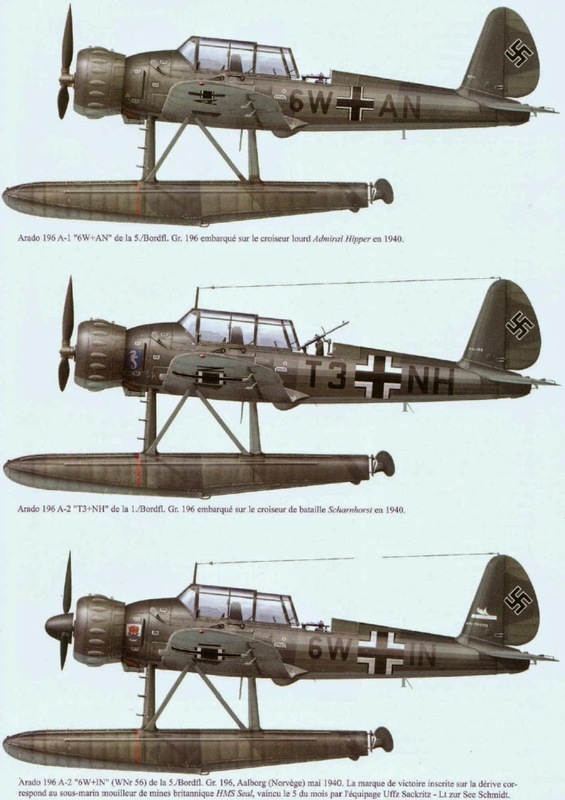 The closest the Kriegsmarine came to 'their own air force' was in the 'Bordflieger Staffeln', that is the aircraft that were based on battleships, cruisers and not least, the Hilfskreuzer. 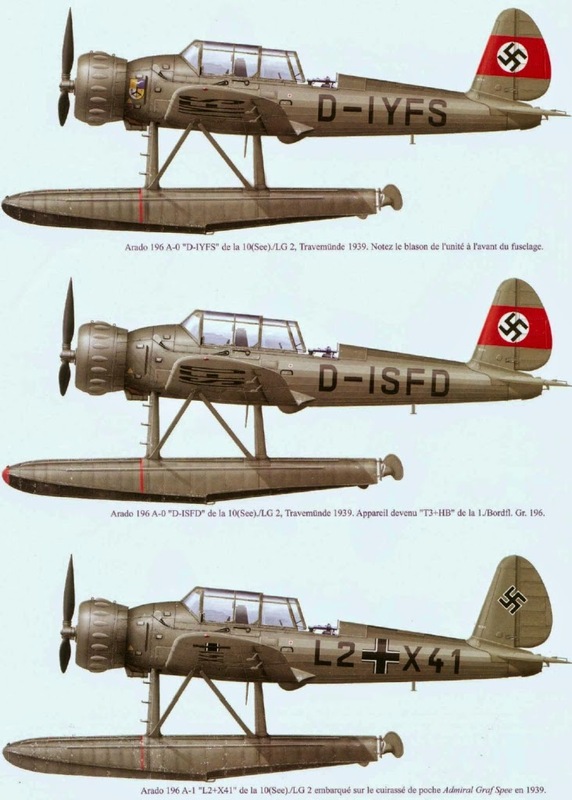 The pilots were Luftwaffe but I believe there was also a few Kriegsmarine officers with flight training that served in them. 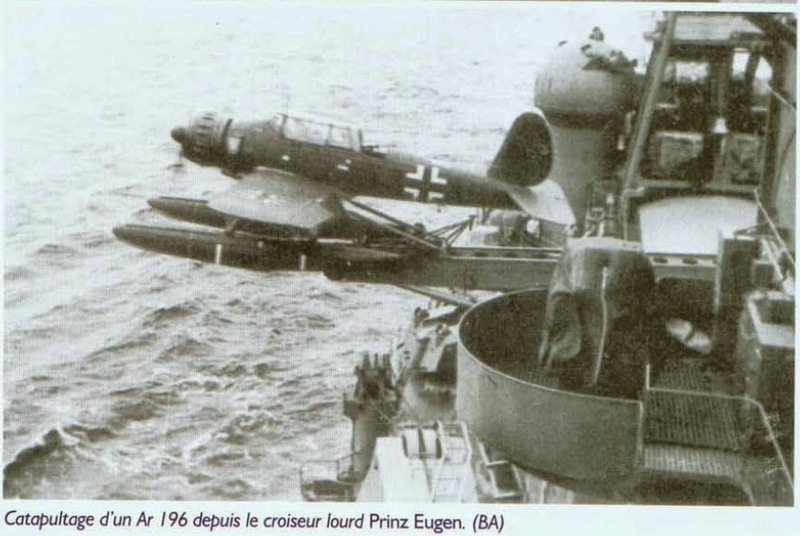 The commander/observer in the aircraft was always Kriegsmarine. The recovery was by crane. Battleships and modern cruisers had two for either side recovery, older cruisers only one. They do not seemed to have used a landing-mat though they knew about them. Most common procedure was for the ship to lay 'eine Ententeppe' (a ducks tail...) by steady turn with the aircraft touching water on the 'ducks tail' on the inside turn. This method was inferior to the American/Japanese methods - and put tighter restrictions on 'operational weather' than seems to have been the case elsewhere. The most commonly used aircraft in WW 2, the Arado 196 was also deemed 'not very seaworthy' and was often damaged in landings. As for operations they did better in fair weather of course. The Graf Spee and Scheer did make good use of theirs. Several of the Hilfskreuzer did even better. Even though they lacked catapults and had to lower the aircraft to the water under a normal steamers derrick - and revert the operation under the same derrick powered by a steam-winch.